"The Bicycle Thief" redirects here. For other uses, see The Bicycle Thief (disambiguation). "Ladri di biciclette" redirects here. For the musical group, see Ladri di Biciclette (band). Bicycle Thieves (Italian: Ladri di biciclette; sometimes known in the United States as The Bicycle Thief) is a 1948 Italian drama film directed by Vittorio De Sica. The film follows the story of a poor father searching post-World War II Rome for his stolen bicycle, without which he will lose the job which was to be the salvation of his young family. 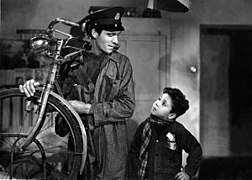 Adapted for the screen by Cesare Zavattini from a novel by Luigi Bartolini, and starring Lamberto Maggiorani as the desperate father and Enzo Staiola as his plucky young son, Bicycle Thieves is widely regarded as a masterpiece of Italian neorealism. 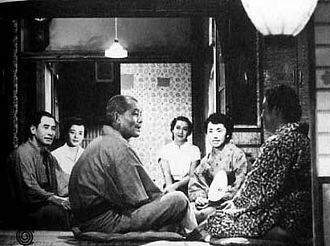 It received an Academy Honorary Award (most outstanding foreign language film) in 1950 and, just four years after its release, was deemed the greatest film of all time by Sight & Sound magazine's poll of filmmakers and critics; fifty years later the same poll ranked it sixth among the greatest-ever films. It is also one of the top ten among the British Film Institute's list of films you should see by the age of 14. In the post-World War II Val Melaina neighbourhood of Rome, Antonio Ricci (Lamberto Maggiorani) is desperate for work to support his wife Maria (Lianella Carell), his son Bruno (Enzo Staiola) and his small baby. He is offered a position posting advertising bills but tells Maria that he cannot accept because the job requires a bicycle. Maria resolutely strips the bed of her dowry bedsheets‍—‌prized possessions for a poor family‍—‌and takes them to the pawn shop, where they bring enough to redeem Antonio's pawned bicycle. On his first day of work, Antonio is atop a ladder when a young man (Vittorio Antonucci) snatches the bicycle. Antonio gives chase but is thrown off the trail by the thief's confederates. The police warn that there is little they can do. Advised that stolen goods often surface at the Piazza Vittorio market, Antonio goes there with several friends and Bruno. They find a bike that might be Antonio's, but the serial numbers do not match. At the Porta Portese market, Antonio and Bruno spot the thief with an old man. The thief eludes them and the old man feigns ignorance. They follow him into a church where he too slips away from them. In a subsequent encounter with the thief, Antonio pursues him into a brothel, whose denizens eject them. 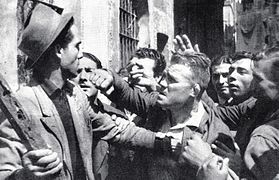 In the street, hostile neighbours gather as Antonio accuses the thief, who conveniently falls into a fit for which the crowd blames Antonio. Bruno fetches a policeman, who searches the thief's apartment without result. The policeman tells Antonio the case is weak‍—‌Antonio has no witnesses and the neighbors are certain to provide the thief with an alibi. Antonio and Bruno leave in despair amid jeers and threats from the crowd. On their way home, they near Stadio Nazionale PNF football stadium. Antonio sees an unattended bike near a doorway and after much anguished soul-searching, instructs Bruno to take the streetcar to a stop nearby and wait. Antonio circles the unattended bicycle and jumps on it. Instantly the hue and cry is raised and Bruno – who has missed the streetcar – is stunned to see his father pursued, surrounded and pulled from the bike. As Antonio is being muscled toward the police station, the bicycle's owner notices Bruno and in a moment of compassion tells the others to release Antonio. Antonio and Bruno then walk off slowly amid a buffeting crowd. Antonio fights back tears and Bruno takes his hand. The camera watches from behind as they disappear into the crowd. Bicycle Thieves is the best-known work of Italian neorealism, the movement (begun by Roberto Rossellini's 1945 Rome, Open City) which attempted to give cinema a new degree of realism. De Sica had just made the controversial film Shoeshine and was unable to get financial backing from any major studio for the film, so he raised the money himself from friends. Wanting to portray the poverty and unemployment of post-war Italy, he co-wrote a script with Cesare Zavattini and others using only the title and few plot devices of a little-known novel of the time by poet/artist Luigi Bartolini. Following the precepts of neorealism, De Sica shot only on location (that is, no studio sets) and cast only untrained nonactors. (Lamberto Maggiorani, for example, was a factory worker.) That some actors' roles paralleled their lives off screen added realism to the film. 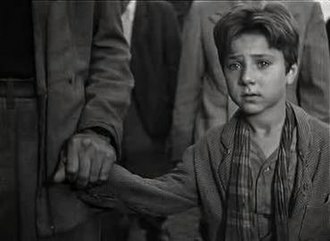 De Sica cast Maggiorani when he had brought his young son to an audition for the film. He later cast the 8-year-old Enzo Staiola when he noticed the young boy watching the film's production on a street while helping his father sell flowers. 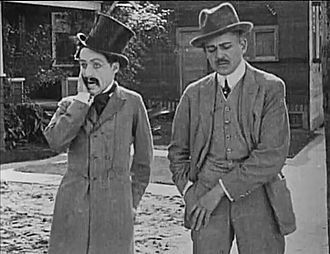 The film's final shot of Antonio and Bruno walking away from the camera into the distance is an homage to many Charlie Chaplin films, who was De Sica's favourite filmmaker. Uncovering the drama in everyday life, the wonderful in the daily news. Bosley Crowther used The Bicycle Thief in his 1949 review in The New York Times, and as a result this came to be the title by which the film was known in the United States, and some people became attached to it. 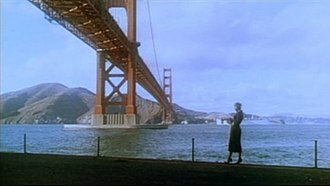 When the film was re-released in the late 1990s Bob Graham, staff film critic for the San Francisco Chronicle, was quoted as saying that he preferred the title The Bicycle Thief, stating, "Purists have criticized the English title of the film as a poor translation of the Italian ladri, which is plural. What blindness! The Bicycle Thief is one of those wonderful titles whose power does not sink in until the film is over". According to critic Philip French of The Observer, the alternative title The Bicycle Thief is misleading, "because the desperate hero eventually becomes himself a bicycle thief". The 2007 Criterion Collection release in North America uses the plural title. De Sica changed many aspects of Bartolini's novel, but retained the title, which used the plural form and referred, in the book, to a post-war culture of rampant thievery and disrespect for civil order countered only by an inept police force and indifferent allied occupiers. When Bicycle Thieves was released in Italy, it was viewed with hostility and as portraying Italians in a negative way. 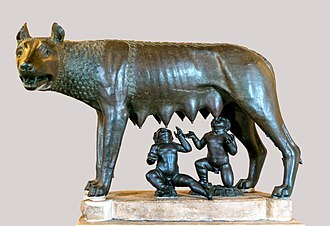 Italian critic Guido Aristarco praised it, but also complained that "sentimentality might at times take the place of artistic emotion." Fellow Italian neorealist film director Luchino Visconti criticized the film, saying that it was a mistake to use a professional actor to dub over Lamberto Maggiorani's dialogue. Luigi Bartolini, the author of the novel from which de Sica drew his title, was highly critical of the film, feeling that the spirit of his book had been thoroughly betrayed, since his protagonist was a middle-class intellectual and his theme was the breakdown of civil order in the face of anarchic communism. Bicycle Thieves has received acclaim from critics ever since its release, with the film-review aggregator Rotten Tomatoes reporting 98% positive reviews from 54 reviews, with an average 9.1 out of 10 rating. 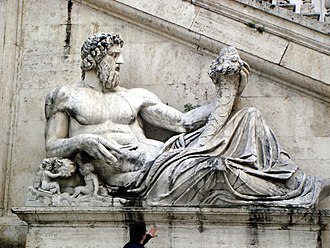 The picture is also in the Vatican's Best Films List for portraying humanistic values. Bosley Crowther, film critic for The New York Times, lauded the film and its message in his review. He wrote, "Again the Italians have sent us a brilliant and devastating film in Vittorio De Sica's rueful drama of modern city life, The Bicycle Thief. Widely and fervently heralded by those who had seen it abroad (where it already has won several prizes at various film festivals), this heart-tearing picture of frustration, which came to [the World Theater] yesterday, bids fair to fulfill all the forecasts of its absolute triumph over here. For once more the talented De Sica, who gave us the shattering Shoeshine, that desperately tragic demonstration of juvenile corruption in post-war Rome, has laid hold upon and sharply imaged in simple and realistic terms a major—indeed, a fundamental and universal—dramatic theme. It is the isolation and loneliness of the little man in this complex social world that is ironically blessed with institutions to comfort and protect mankind". Pierre Leprohon wrote in Cinéma D'Aujourd that "what must not be ignored on the social level is that the character is shown not at the beginning of a crisis but at its outcome. One need only to look at his face, his uncertain gait, his hesitant or fearful attitudes to understand that Ricci is already a victim, a diminished man who has lost his confidence." Lotte Eisner called it the best Italian film since World War II and Robert Winnington called it "the most successful record of any foreign film in British cinema." When the film was re-released in the late 1990s Bob Graham, staff film critic for the San Francisco Chronicle, gave the drama a positive review: "The roles are played by non-actors, Lamberto Maggiorani as the father and Enzo Staiola as the solemn boy, who sometimes appears to be a miniature man. They bring a grave dignity to De Sica's unblinking view of post-war Italy. The wheel of life turns and grinds people down; the man who was riding high in the morning is brought low by nightfall. It is impossible to imagine this story in any other form than De Sica's. The new black-and-white print has an extraordinary range of grey tones that get darker as life closes in". The film was a major influence on film directors of the Iranian New Wave, such as Jafar Panahi and Dariush Mehrjui. Other directors that called it an influence are Satyajit Ray, Ken Loach, Giorgio Mangiamele, Bimal Roy, Anurag Kashyap, Balu Mahendra, Basu Chatterjee and Isao Takahata. The film was used as source material for the 1985 cult classic Pee-Wee's Big Adventure. The film was parodied in the 1989 film The Icicle Thief. Bicycle Thieves was featured in Robert Altman's 1992 film The Player. The second-season premiere of the Netflix series Master of None is a homage to the film. At the start of the episode, Bicycle Thieves is at the top of a stack of DVDs on Dev's night stand. The 1978 Jamaican film Rockers was a loose adaptation of the film. Norman Loftis's film Messenger (1994) is considered to be a remake of Bicycle Thieves. Beijing Bicycle is heavily influenced by Bicycle Thieves, although it takes a violent turn. Bob Nelson wrote and directed an adaptation of the story set in Kent, Washington. The Confirmation was filmed in Canada. A theatrical adaptation of the film was created by Littlebrain Theatre, in a devised adaptation with a cast of nine. The production premiered as part of the Rhinoceros Theatre Festival in Chicago, from January 18 to February 22, 2019. Locarno International Film Festival, Switzerland: Special Prize of the Jury, Vittorio De Sica; 1949. National Board of Review: NBR Award, Best Director, Vittorio De Sica; Best Film (Any Language), Italy; 1949. New York Film Critics Circle Awards: NYFCC Award, Best Foreign Language Film, Italy; 1949. Academy Awards: Honorary Award, as The Bicycle Thief (Italy). Voted by the Academy Board of Governors as the most outstanding foreign language film released in the United States during 1949; 1950. Academy Awards: Nominated, Oscar, Best Writing, Screenplay; as The Bicycle Thief, Cesare Zavattini; 1950. British Academy of Film and Television Arts: BAFTA Film Award, Best Film from any Source; 1950. Bodil Awards, Copenhagen, Denmark: Bodil, Best European Film (Bedste europæiske film), Vittorio De Sica; 1950. Golden Globes: Golden Globe, Best Foreign Film, Italy; 1950. Cinema Writers Circle Awards, Spain: CEC Award, Best Foreign Film (Mejor Película Extranjera), Italy; 1951. Kinema Junpo Awards, Tokyo, Japan: Kinema Junpo Award, Best Foreign Language Film, Vittorio De Sica; 1951. Best Cinematography (Migliore Fotografia), Carlo Montuori. Best Director (Migliore Regia), Vittorio De Sica. Best Film (Miglior Film a Soggetto). Best Score (Miglior Commento Musicale), Alessandro Cicognini. Best Screenplay (Migliore Sceneggiatura), Cesare Zavattini, Vittorio De Sica, Suso Cecchi d'Amico, Oreste Biancoli, Adolfo Franci, and Gerardo Guerrieri. Best Story (Miglior Soggetto), Cesare Zavattini. Ranked #4 in Empire magazines "The 100 Best Films Of World Cinema" in 2010. ^ Christopher Wagstaff (2007). Italian Neorealist Cinema. University of Toronto Press. Retrieved June 9, 2012. ^ Gordon, Robert (2008). Bicycle Thieves (Ladri Di Biciclette). New York: Macmillan. p. 26. ISBN 9781844572380. Retrieved 29 April 2018. ^ a b "The Bicycle Thief (1949)". Box Office Mojo. Retrieved October 1, 2014. ^ a b Crowther, Bosley (December 13, 1949). "The Bicycle Thief (1948) THE SCREEN; Vittorio De Sica's 'The Bicycle Thief,' a Drama of Post-War Rome, Arrives at World". The New York Times. ^ Ebert, Roger (March 19, 1999). "The Bicycle Thief / Bicycle Thieves (1949) review". Chicago Sun-Times. Archived from the original on July 20, 2010. Retrieved July 20, 2010. ^ Sight and Sound Top Ten Poll, director's list 2002. Last accessed: 2014-01-19. ^ Megan, Ratner Archived 2007-08-10 at the Wayback Machine. GreenCine, "Italian Neo-Realism," 2005. Last accessed: December 30, 2007. ^ Wakeman, John. World Film Directors, Volume 1. The H. W. Wilson Company. 1987. pp. 232. ^ Gordon, Robert (2008). Bicycle Thieves (Ladri Di Biciclette). New York: Macmillan. pp. 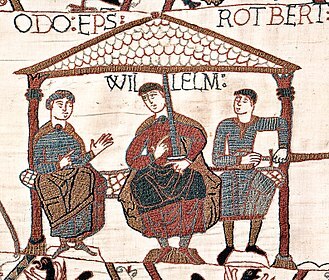 3–4. ISBN 9781844572380. Retrieved 17 August 2015. ^ Associated Press. Published in The New York Times. Lamberto Maggiorani Obituary. April 24, 1983. Last accessed: December 30, 2007. ^ a b c Wakeman. pp. 232. ^ "Bicycle Thieves (1948): Release Info". Retrieved October 3, 2016. ^ a b Graham, Bob. San Francisco Chronicle, film review, November 6, 1998. Last accessed: December 30, 2007. ^ French, Philip. The Guardian, DVD review, February 19, 2006. Last accessed: December 30, 2007. ^ DVD Talk review of the Criterion Collection DVD, 17 Feb, 2007. ^ a b Healey, Robin (1998). Twentieth-century Italian Literature in English Translation: An Annotated Bibliography 1929-1997. Toronto: University of Toronto Press. p. 49. ISBN 0802008003. Retrieved 17 August 2015. ^ "The Bicycle Thief (1949)". Rotten Tomatoes. Retrieved January 7, 2016. ^ United States Conference of Catholic Bishops website, 2008. Last accessed: May 20, 2008. ^ Crowther, Bosley. The New York Times, film review, "Vittorio De Sica's The Bicycle Thief, a Drama of Post-War Rome, Arrives at World", December 13, 1949. Last accessed: December 30, 2007. ^ "Remarks by JAFAR PANAHI". Film Scouts LLC. Archived from the original on 24 August 2011. Retrieved 22 May 2012. ^ Wakeman, John. World Film Directors, Volume 2. The H. W. Wilson Company. 1988. 663–669. ^ Robinson, A. Satyajit Ray: A Vision of Cinema. I. 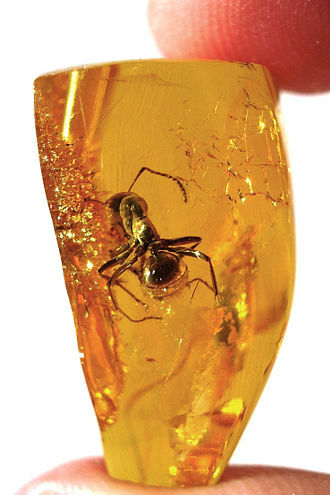 B. Tauris.2005. ISBN 1-84511-074-9. p. 48. ^ Anwar Huda (2004). The Art and science of Cinema. Atlantic Publishers & Dist. p. 100. ISBN 81-269-0348-1. ^ Akbar, Irena (14 June 2008). "Why Sica Moved Patna". Indian Express Archive. Retrieved 4 May 2015. ^ Mahendra, Balu (7 September 2012). "சினிமாவும் நானும்..." (in Tamil). filmmakerbalumahendra.blogspot.in. Retrieved 9 June 2014. ^ "A Manzil of Memories: Rare Memorabilia Of Basu Chatterji's Films". Learning & Creativity. 2014-04-25. Retrieved 2014-05-27. ^ "Paul Reubens". The New York Times. ^ Kehr, Dave (October 20, 1995). "'Messenger' Delivers Stark Film Captures 1995 New York". The Daily News. Retrieved April 8, 2018. ^ Rooney, David (June 27, 1994). "Messenger". Variety. Retrieved April 8, 2018. ^ Barr, Zach (November 20, 2018). "Littlebrain Theatre". Facebook. Retrieved November 20, 2018. ^ "Rhinoceros Theatre Festival 2019". Prop Thtr. December 27, 2018. Retrieved January 14, 2019. ^ Ebert, Roger. 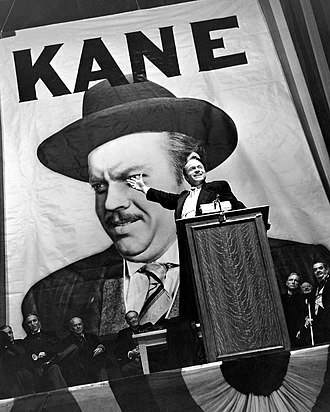 "TCM's 15 most influential films of all time, and 10 from me | Roger Ebert's Journal". Roger Ebert. Retrieved 2013-06-29. Shoeshine is a 1946 Italian film directed by Vittorio De Sica. Sometimes regarded as his first major work, the film follows two boys who get into trouble with the police after trying to find the money to buy a horse. Two friends, Giuseppe Filippucci and Pasquale Maggi, test-ride horses and it is their dream to own one for themselves. Though they are saving to purchase a horse, it is difficult for them to afford one, one day Giuseppes older brother, visits the two boys while they are shining shoes. Attilio tells Pasquale that Panza has some work for them, Pasquale brings Giuseppe along to meet Panza, who gives them two fine American blankets to sell. Giuseppe and Pasquale bring the blankets to a teller, who buys them from the boys after some negotiation. After the sale, Panza and another man bust into the fortune tellers house and they accuse the fortune teller of handling stolen goods, and finding Giuseppe and Pasquale, force them out and pretend to take them into custody. Attilio tells the boys to go away and keep quiet, letting them keep the money as well as 3,000 additional lira. With this money, the boys realize they have enough to buy a horse. After purchasing their horse and spending a great deal of time riding it, there the real police, accompanied by the fortune teller, bring them into the precinct for questioning. The police accuse the boys of stealing over 700,000 lira from the fortune tellers home, the boys deny all charges and do not mention their knowledge of the three true con men. Giuseppe and Pasquale are sent to a detention center. On arrival and Pasquale are separated, the detention center is divided into three levels/rows of cells with 5 boys in each. Giuseppe is placed in a cell on the floor. The two boys try to remain in contact, but are frequently stifled by the prison guards and they each make new acquaintances in their respective cells. Giuseppe receives a package from his mother filled with food and he tries to share it with Pasquale, still in his cell on the first floor, but he is stopped. Giuseppe instead shares it with his inmates in his own cell. A pawnbroker is an individual or business that offers secured loans to people, with items of personal property used as collateral. The items having been pawned to the broker are themselves called pledges or pawns, if an item is pawned for a loan, within a certain contractual period of time the pawner may redeem it for the amount of the loan plus some agreed-upon amount for interest. The amount of time, and rate of interest, is governed by law or by the pawnbrokers policies, if the loan is not paid within the time period, the pawned item will be offered for sale to other customers by the pawnbroker. The pawnbroker sells items that have been sold outright to them by customers, some pawnshops are willing to trade items in their shop for items brought to them by customers. The pawning process begins when a customer brings an item into a pawn shop, common items pawned by customers include jewelry, collectibles, musical instruments and firearms. Gold and platinum are popular items—which are often purchased, metal can still be sold in bulk to a bullion dealer or smelter for the value by weight of the component metals. Similarly, jewelry that contains genuine gemstones, even if broken or missing pieces, have value, the pawnbroker assumes the risk that an item might have been stolen. However, laws in many jurisdictions protect both the community and broker from unknowingly handling stolen goods and these laws often require that the pawnbroker establish positive identification of the seller through photo identification, as well as a holding period placed on an item purchased by a pawnbroker. In some jurisdictions, pawnshops must give a list of all newly pawned items and any associated serial number to police, many police departments advise burglary or robbery victims to visit local pawnshops to see if they can locate stolen items. Some pawnshops set up their own screening criteria to avoid buying stolen property, the pawnbroker assesses an item for its condition and marketability by testing the item and examining it for flaws, scratches or other damage. Another aspect that affects marketability is the supply and demand for the item in the community or region, in some markets, the used goods market is so flooded with used stereos and car stereos, for example, that pawnshops will only accept the higher-quality brand names. Alternatively, a customer may offer to pawn an item that is difficult to sell, such as a surfboard in an inland region, the pawnshop owner either turns down hard-to-sell items, or offers a low price. While some items never get outdated, such as hammers and hand saws and computer items quickly become obsolete, Pawnshop owners must learn about different makes and models of computers and other electronic equipment, so they can value objects accurately. To assess value of different items, pawnbrokers use guidebooks, Internet search engines, some pawnbrokers have trained in identification of gems, or employ a specialist to assess jewelry. One of the risks of accepting secondhand goods is that the item may be counterfeit, if the item is counterfeit, such as a fake Rolex watch, it may have only a fraction of the value of the genuine item. Once the pawnbroker determines the item is genuine and not likely stolen, and that it is marketable, the customer can either sell the item outright if the pawnbroker is a licensed secondhand dealer, or offer the item as collateral on a loan. A bicycle, often called a bike or cycle, is a human-powered, pedal-driven, single-track vehicle, having two wheels attached to a frame, one behind the other. A bicycle rider is called a cyclist, or bicyclist, Bicycles were introduced in the 19th century in Europe and as of 2003, more than 1 billion have been produced worldwide, twice as many as the number of automobiles that have been produced. They are the means of transportation in many regions. They provide a form of recreation, and have been adapted for use as childrens toys, general fitness and police applications, courier services. The basic shape and configuration of an upright or safety bicycle, has changed little since the first chain-driven model was developed around 1885. But many details have been improved, especially since the advent of modern materials and these have allowed for a proliferation of specialized designs for many types of cycling. 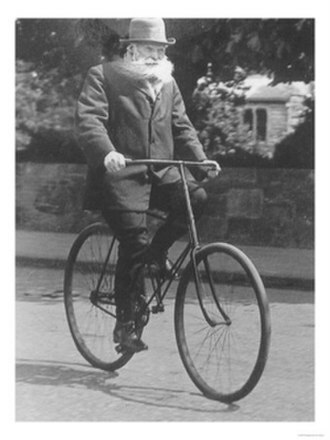 The bicycles invention has had an effect on society, both in terms of culture and of advancing modern industrial methods. Cesare Zavattini was an Italian screenwriter and one of the first theorists and proponents of the Neorealist movement in Italian cinema. Born in Luzzara, near Reggio Emilia in northern Italy, on 20 September 1902, Zavattini studied law at the University of Parma, in 1930 he relocated to Milan, and worked for the book and magazine publisher Angelo Rizzoli. After Rizzoli began producing films in 1934, Zavattini received his first screenplay, in 1952, Zavattini gave an interview to The Italian Film Magazine 2, republished in English as Some Ideas on the Cinema. The thirteen points Zavattini outlined are widely regarded as his manifesto to Italian neorealism, in his only experience in Hollywood, Zavattini wrote the screenplay for The Children of Sanchez based on Oscar Lewis’s book of the same title, a classic study of a Mexican family. At the 11th Moscow International Film Festival in 1979, he was awarded the Honorable Prize for the contribution to cinema, in 1983 he was a member of the jury at the 13th Moscow International Film Festival. Roberto Gastone Zeffiro Rossellini was an Italian film director and screenwriter. Rossellini was one of the directors of the Italian neorealist cinema and his mother was of part French descent, from immigrants who had arrived in Italy during the Napoleonic Wars. 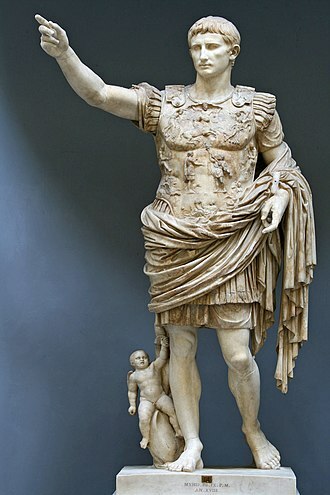 He lived on the Via Ludovisi, where Benito Mussolini had his first Roman hotel in 1922 when Fascism obtained power in Italy. When his father died, he worked as a soundmaker for films and for a time he experienced all the accessory jobs related to the creation of a film. Rossellini had a brother, who scored many of his films. On 26 September 1936, he married Marcella De Marchis, a designer with whom he collaborated even after their marriage was over. This was after a quick annulment from Assia Noris, a Russian actress who worked in Italian films, De Marchis and Rossellini had two sons, Marco Romano, and Renzo. Rossellini and De Marchis separated in 1950, in 1937, Rossellini made his first documentary, Prélude à laprès-midi dun faune. After this essay, he was called to assist Goffredo Alessandrini in making Luciano Serra pilota, in 1940 he was called to assist Francesco De Robertis on Uomini sul Fondo. His close friendship with Vittorio Mussolini, son of Il Duce, has interpreted as a possible reason for having been preferred to other apprentices. Some authors describe the first part of his career as a sequence of trilogies, to this period belongs his friendship and cooperation with Federico Fellini and Aldo Fabrizi. The Fascist regime collapsed in 1943 and just two months after the liberation of Rome, Rossellini was already preparing the anti-fascist Roma città aperta, Fellini assisted on the script and Fabrizi played the role of the priest, while Rossellini self-produced. Most of the came from credits and loans, and film had to be found on the black market. This dramatic film was an immediate success, since I do not have the desire to waste my energy in a battle like this, I only use professional actors occasionally. One of the reasons for success is supposed to be Rossellinis rewriting of the according to the non-professional actors feelings. Regional accent and costumes were shown in the film as they were in real life, after his Neorealist Trilogy, Rossellini produced two films now classified as the Transitional films, LAmore and La macchina ammazzacattivi, on the capability of cinema to portray reality and truth. Sir Charles Spencer Charlie Chaplin, KBE was an English comic actor and composer who rose to fame during the era of silent film. Chaplin became an icon through his screen persona the Tramp and is considered one of the most important figures in the history of the film industry. 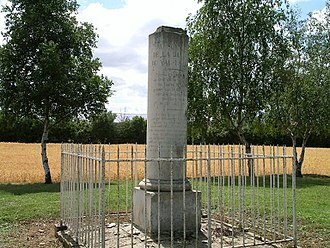 His career spanned more than 75 years, from childhood in the Victorian era until a year before his death in 1977, Chaplins childhood in London was one of poverty and hardship. 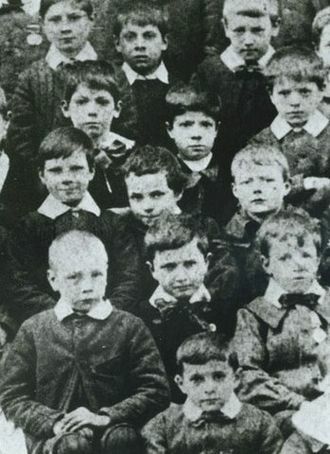 As his father was absent and his mother struggled financially, he was sent to a workhouse twice before the age of nine, when he was 14, his mother was committed to a mental asylum. Chaplin began performing at an age, touring music halls and working as a stage actor. 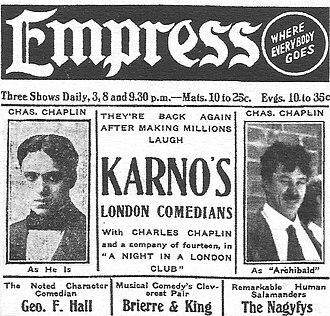 At 19 he was signed to the prestigious Fred Karno company, Chaplin was scouted for the film industry, and began appearing in 1914 for Keystone Studios. He soon developed the Tramp persona and formed a fan base. Chaplin directed his own films from a stage, and continued to hone his craft as he moved to the Essanay, Mutual. By 1918, he was one of the best known figures in the world, in 1919, Chaplin co-founded the distribution company United Artists, which gave him complete control over his films. His first feature-length was The Kid, followed by A Woman of Paris, The Gold Rush and he refused to move to sound films in the 1930s, instead producing City Lights and Modern Times without dialogue. Chaplin became increasingly political, and his film, The Great Dictator. The 1940s were a decade marked with controversy for Chaplin, and he was accused of communist sympathies, while his involvement in a paternity suit and marriages to much younger women caused scandal. An FBI investigation was opened, and Chaplin was forced to leave the United States and he abandoned the Tramp in his films, which include Monsieur Verdoux, Limelight, A King in New York, and A Countess from Hong Kong. Chaplin wrote, produced, starred in and he was a perfectionist, and his financial independence enabled him to spend years on the development and production of a picture. Vittorio De Sica was an Italian director and actor, a leading figure in the neorealist movement. Indeed, the critical success of Sciuscià and Bicycle Thieves helped establish the permanent Best Foreign Film Oscar. These two films generally are considered part of the canon of classic cinema, Bicycle Thieves was cited by Turner Classic Movies as one of the 15 most influential films in cinema history. De Sicas acting was considered the highlight of the film, born into poverty in Sora, Lazio, he began his career as a theatre actor in the early 1920s and joined Tatiana Pavlovas theatre company in 1923. In 1933 he founded his own company with his wife Giuditta Rissone, the company performed mostly light comedies, but they staged plays by Beaumarchais and worked with famous directors like Luchino Visconti. De Sica appeared in the British television series The Four Just Men and his passion for gambling was well known. Because of it, he often lost large sums of money, in 1937 Vittorio De Sica married the actress Giuditta Rissone, who gave birth to their daughter, Emi. 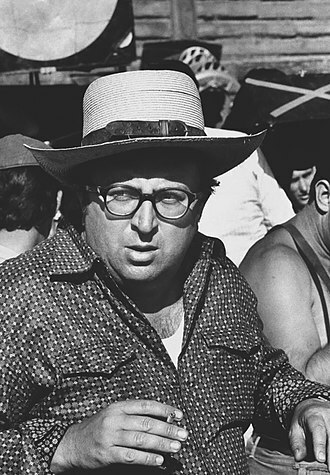 Sergio Leone was an Italian film director and screenwriter, credited as the inventor of the Spaghetti Western genre. Leones film-making style includes juxtaposing extreme close-up shots with lengthy long shots. born in Rome, Leone was the son of the cinema pioneer Vincenzo Leone and the silent film actress Edvige Valcarenghi. During his schooldays, Leone was a classmate of his musical collaborator Ennio Morricone for a time. After watching his work on film sets, Leone began his own career in the film industry at the age of 18 after dropping out of law studies at the university. Working in Italian cinematography, he began as an assistant to Vittorio de Sica during the movie The Bicycle Thief in 1948, Leone began writing screenplays during the 1950s, primarily for the sword and sandal historical epics, popular at the time. When director Mario Bonnard fell ill during the production of the 1959 Italian epic The Last Days of Pompeii, starring Steve Reeves, Leone was asked to step in and complete the film. As a result, when the time came to make his directorial debut with The Colossus of Rhodes. His film A Fistful of Dollars was based upon Akira Kurosawas Edo-era samurai adventure Yojimbo, Leones film elicited a legal challenge from the Japanese director, though Kurosawas film was in turn probably based on the 1929 Dashiell Hammett novel, Red Harvest. A Fistful of Dollars is notable for establishing Clint Eastwood as a star, until that time Eastwood had been an American television actor with few credited film roles. The look of A Fistful of Dollars was established by its Spanish locations, the film paid tribute to traditional American western films, but significantly departed from them in storyline, plot and mood. The characters were morally ambiguous by appearing generously compassionate, or nakedly and brutally self-serving, relationships revolved around power and retributions were emotion-driven rather than conscience-driven. According to Christopher Fraylings book Something to do with Death, Leone knew a deal about the American Old West. 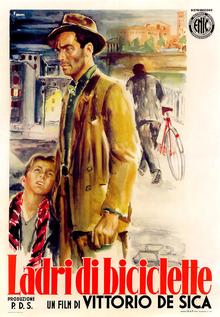 Bicycle Thieves (1948), by Vittorio De Sica, ranked among the best movies ever made. Martin Scorsese receiving a Golden Lion, the most prestigious award given out at the Venice Film Festival, the oldest film festival in the world. Aussteuerschrank – a dowry cabinet, currently in a German museum. 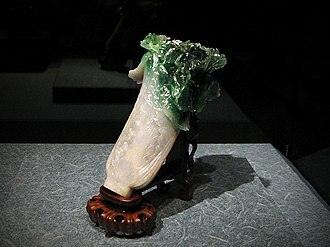 Jadeite Cabbage – Jin received it as part of her dowry for her wedding to Guangxu, in 1889; originally displayed in Forbidden City (Beijing), it is now in National Palace Museum (Taipei City). 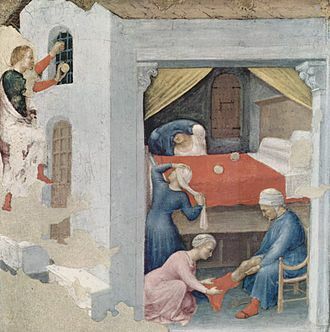 The dowry for the three virgins (Gentile da Fabriano, c. 1425, Pinacoteca Vaticana, Rome), the St. Nicholas legend. The Dowry by 19th century Russian painter, Vasili Pukirev. 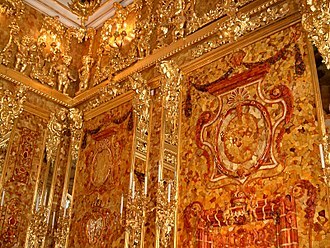 Dowry was a common practice in Russia through the 19th century. A pawnshop business in Germany in 2014. A London shop displays the traditional pawnbroker's sign. Lamberto Maggiorani in Ladri di Biciclette. Porta Portese seen from the South-West.